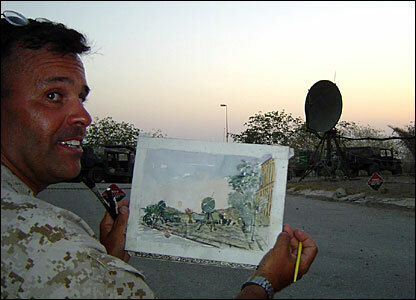 Michael Fay is an official US Marine war artist, one of only three in the service. 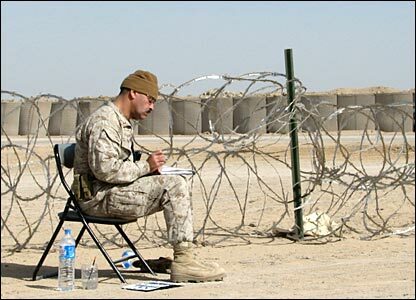 His mission - "Go do art" - has taken him to Iraq and Afghanistan. 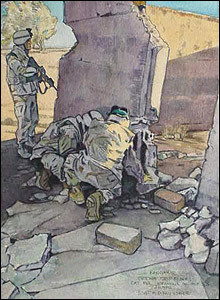 This painting was inspired by the golden light and purple shadows as marines set a trap for Taleban snipers who had been shooting at them near Kandahar, Afghanistan. 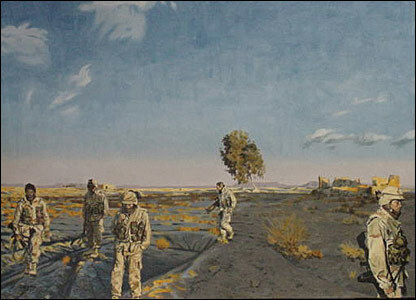 In All Eyes Down, another Afghanistan painting, the artist wanted to capture "some of the tension when you're walking in the most heavily mined country on the planet". 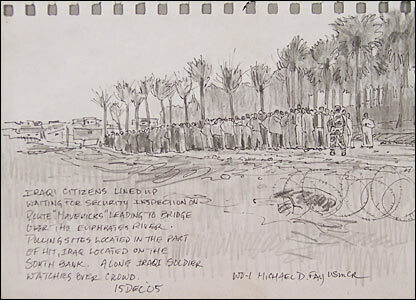 Staff Sgt Fay was in Iraq for elections in December of 2005 and sketched the security operation surrounding the ballot. Everyone was shocked by the number of voters who turned out - 14,000 in the town of Hit alone. 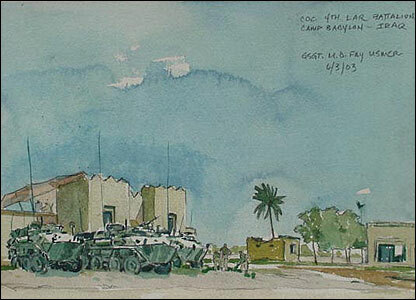 SSgt Fay watched reservists set up a command operations centre in Iraq, where the heat dried his watercolours so fast it created a puddling effect. 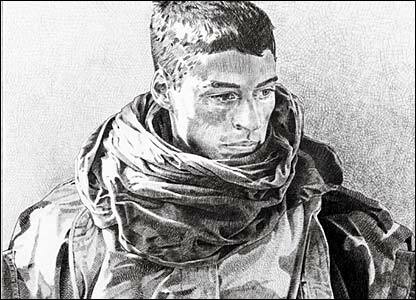 SSgt Fay was drawing two marines play chess when a sandstorm blew in: "I went back and squinted his eyes shut and smeared the image for the storm." 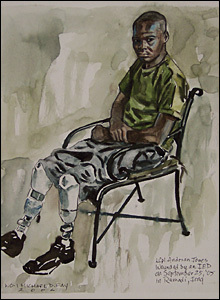 Adrian Jones lost both his legs in Iraq. 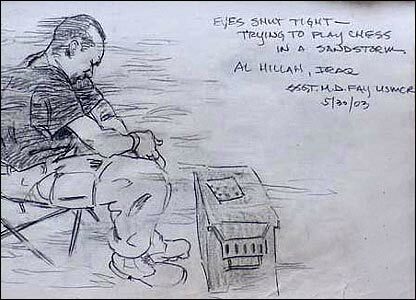 SSgt Fay says he does not shy away from such images: "If something I do is controversial, then the reality is controversial." Years after Michael Fay posted a picture of Nick Ciccone on his blog, he heard from Ciccone's stepbrother the marine had killed himself. But the picture "made him alive for them". 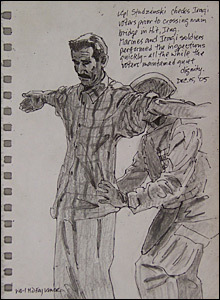 "The art had given him back to them," Michael Fay says. "It took on this whole life of its own. You never know what art is going to do."